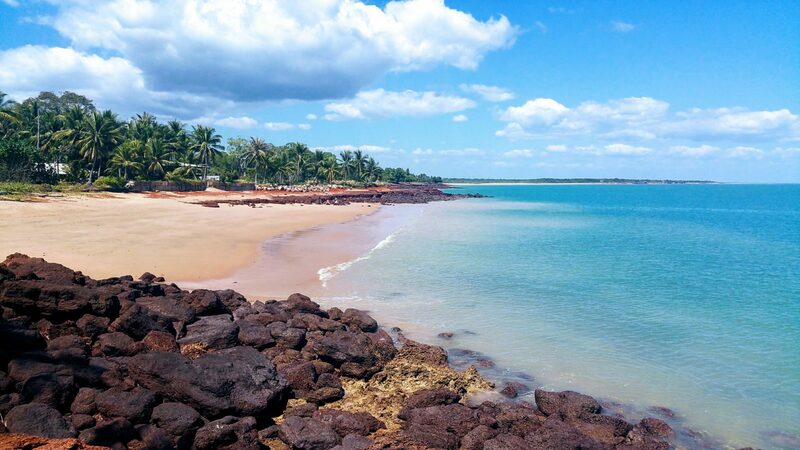 For many of us, a visit to the Northern Territory means an opportunity to get out on the water and throw a line in. Fishing is undoubtedly one of the favourite to-do items in the NT and not just for the tourists. The locals love to fish too and if they don’t own a boat, they have friends that do so when the weather is good, you can be sure there is plenty of action at the boat ramps every weekend. 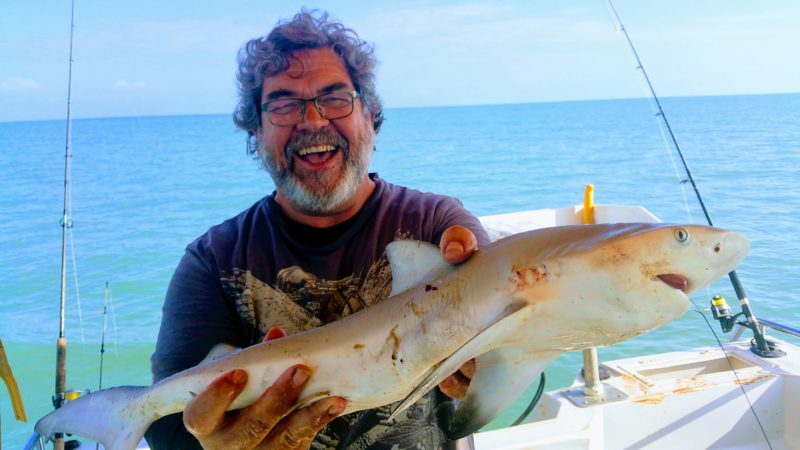 If you listen to the marketing and popular fishing shows, you would think that the waters are thick with fish just waiting for you to come over and throw in a bait or a lure.. but in reality, without local knowledge and some good luck, it can be just as tough as anywhere else in Australia, particularly if you are land based. Believe me, I have spent countless hours standing on jetties and beaches without so much as a nibble. But, sometimes magic happens and out of the blue someone will land a monster. I guess that’s part of the reason fishing stories here continue to inspire us to keep trying. Of course the idea of catching a big Barramundi is at the top of many angler’s wish lists and there are plenty of ways to tick that box but for most of us tourists and travellers, the best option is to jump on a fishing charter where everything is laid on for you and you have an experienced guide to get you in the right place at the right time. 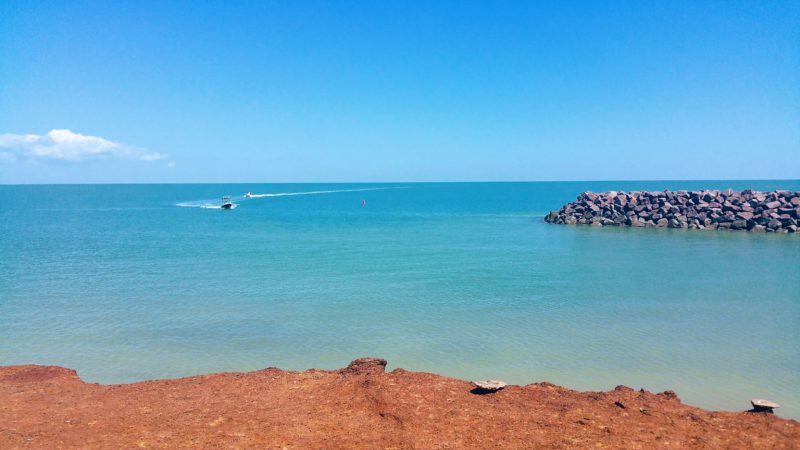 There are plenty of fishing tours and charters around Darwin so if your time is limited, they are your best option. We have a number of them listed on the website. 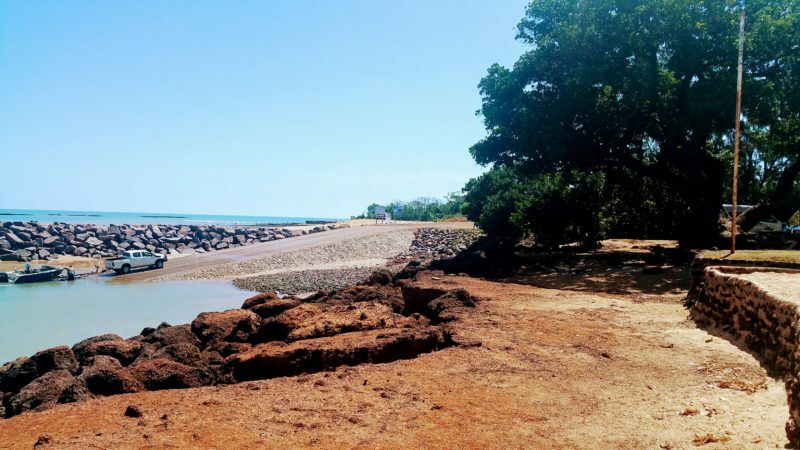 I suggest you start your search on our Darwin tours page make sure you filter your results to Cruises, Sailing and Water Tours. On average you can expect to pay $300+ per person for a full day tour. There are some half day options for less cost and of course, you can get serious and book a multi-day charter to really live the dream. For those of us that want to do a lot of fishing without a lot of cost, I tried an alternative that really suited me and we had a ball along the way. You will need your own gear but consider hiring the boat. Boat rental costs are much cheaper and you can make your own decisions on where you go and what you target. Most of the boat hire services I found were closer to $200 per day for a vessel that would comfortably accommodate 3-4 anglers and less than $100 in fuel depending on how much cruising you do. That’s a massive saving if you bring a couple of mates along. We managed to find a well equipped boat out of Dundee Beach for the day and had a great time out on the water. Dundee Beach is well worth a visit regardless, a beautiful place and a nice pub too. Most boats should include a fish finder and GPS with all the best spots stored. We also got some great advice from the operator before we headed out. Certainly worth considering. Obviously you will need to know how to drive the boat and have some basic experience but to my surprise I was told that you don’t actually need a boat license in the NT. Not sure how long that will be true but there you go. So as always, there are options… and how did we go on our trip?… Well a mixed bag really, we caught heaps of fish but not what we were hoping for, lets just say that where we went there were lots of sharks and not much else biting but it was an action packed day and left us with plenty of change in our pockets. Next time I will take better notes on the places I was told to explore.